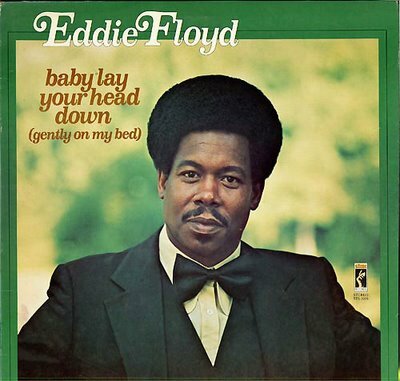 Here’s Eddie Floyd – one of the legendary Memphis label Stax’s most successful artists (as both a singer and songwriter) – doing his hit “I’ve Never Found a Girl (To Love Me Like You Do).” But with a career that predates his Stax days, Floyd also served in the Detroit vocal group Falcons, alongside Sir Mack Rice (also performing at this year’s Ponderosa Stomp) and Wilson Pickett. The group scored hits with “You’re So Fine” and “I Found a Love.” Signing with Stax in 1965, Floyd helped write “Ninety-Nine and a Half (Won’t Do)” and “634-5789 (Soulsville USA)” for Pickett. Indeed, almost every Stax artist recorded Floyd’s tunes, often co-written with Steve Cropper or Booker T. Jones, including Sam & Dave (“You Don’t Know What You Mean to Me”), Rufus Thomas (“The Breakdown”), Otis Redding (“I Love You More Than Words Can Say”), and Johnnie Taylor’s “Just the One (I’ve Been Looking For).” Floyd scored his own successes as a solo artist with “Knock on Wood” and “Big Bird,” (which he reportedly wrote in a London airport while waiting for a plane back to the United States for Redding’s funeral), among others. As some Louisiana lagniappe, here’s Alex Chilton, a fellow son of Memphis and a frequent sideman at the Stomp, offering up his version of the same song, backed by Teenage Fanclub.